TURIN -- Moving production of the next-generation Panda to Italy would cost Fiat 300 million to 400 million euros more than keeping output of the car in Poland, industry sources told Automotive News Europe. Fiat CEO Sergio Marchionne has told Italy's government and unions that the company is considering moving the successor to Europe's best-selling minicar to Italy from Poland starting in 2011. But doing this would cost "hundreds and hundreds of millions" more than keeping the car in Poland, Marchionne said. 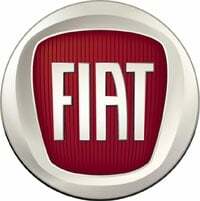 Relocating Panda production to Italy would help Fiat meet an Italian government request to raise domestic passenger car production by 50 percent to about 900,000 units a year by 2012. Fiat currently builds the Panda in its Tychy, Poland, factory, which also builds the Ford Ka as well as the Fiat 500 and Seicento minicars. Marchionne said Fiat is considering building the next Panda in the carmaker's Pomigliano d'Arco plant, near Naples, southern Italy, which currently builds the Alfa Romeo 147 compact, the GT coupe, the 159 mid-sized sedan and wagon. “Pomigliano needs a radical retooling because the current welding and final assembling lines could no be reconverted for manufacturing a minicar,” the source told. In its 2010-2011 plan that includes 8 billion euro in investments, two-thirds of which it earmarked for Italy, Fiat also said the Mirafiori plant in Turin will be completely retooled. “In Mirafiori we will install a completely new production line which will be able to manufacture different models,” Marchionne said. The new line, which will start rolling in late 2011, will be used to make the Alfa Romeo MiTo subcompact as well as a new generation of small minivans for the Fiat brand. The automaker Fiat plans to produce five- and seven-seat versions of the minivans, which will replace the Idea and Multipla respectively. Both models are currently built in Mirafiori. Marchionne said the new line in Mirafiori will increase flexibility and reduce the need for special training of the line workers. Fiat reconfirmed that it will cease production at its factory in Termini Imerese, near Palermo, Sicily, in mid-2011 when the current Lancia Ypsilon goes out of production. The next Ypsilon, due in mid-2011, will be built in Tychy, as a partial compensation for the volume lost due to the transfer of the next Panda to Italy.